Phil Lapsey published long awaited book about history of phreaking in USA. Before smartphones and iPads, before the Internet or the personal computer, a misfit group of technophiles, blind teenagers, hippies, and outlaws figured out how to hack the world's largest machine: the telephone system. Exploding The Phone is their story. Author Phil Lapsley traces the birth of the telephone, the rise of AT&T's monopoly, the discovery of Ma Bell's Achilles heel, and follows the kids and outlaws who used it for fun and profit. Along the way you'll meet an oddball cast of characters ranging from FBI agents to whistling blind kids, from informants to entrepreneurs. More than five years in the making, Exploding The Phone is based on original interviews and declassified documents and includes a Foreword by former phone phreak and Apple co-founder Steve Wozniak. In the words of one reviewer, "At turns a technological love story, a counter cultural history and a generation-spanning epic, Exploding the Phone is obsessively researched and told with wit and clarity. It captures a moment in time that might otherwise have been lost forever." 07/31/2010 - You are doing it wrong !!! It looks like 2010 is off to a good start ! Why ? because there is a new sheriff in town. Coming to you from Poland. I'm Havoc and surely I'd wreak havoc on this site as changes are coming soon. Let's hope for the best and recreate this site to be leading source for phreaking. I count on anyone who wants to contribute. Dual, Sgnome and Zapperlink have put together an awesome new scan of 4 airport exchanges across the US, which includes the Los Angeles, Dallas/Fort Worth, Phoenix and San Francisco international airports. The file's been dubbed Airport Discovery. The best part is that they plan on doing more scans and updating the file every 500 numbers! So be on the lookout for more soon. An Old Skool Phreak exclusive! Happy Holidays everyone! A lot of people said they liked the SpoofCard iPhone App for free sample calls, and it's gotten a lot of use, so I decided to do a downloadable SpoofCard Widget for Mac users. The Widget functions just like the iPhone app, but it sports a slick SpoofCard themed design. Shouts to sgnome for designing the Widget! 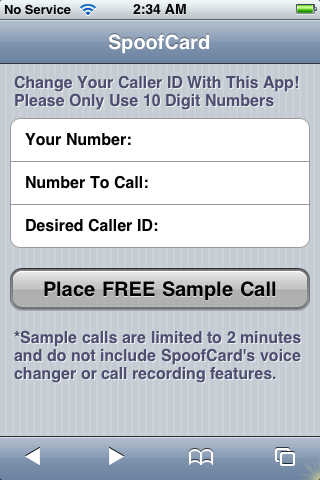 A few nights ago I whipped up a SpoofCard iPhone App to make use of their new "free sample call" form on their website. The iPhone App functions just like the free calls page on their site, but it sports the native iPhone-styled design with an AJAX interface. I know that not a lot of phreaks are rocking the iPhone, but if you do have one, I think this is a good way to take advantage of some free Caller ID spoofing. Were you an angry iPhone owner when they knocked $200 off the price of your phone you just paid $600 for? Apple was nice enough to offer a $100 store credit to those early iPhone owners, but after reading the fine print you probably discovered that only iPhones activated through AT&T are eligible for the rebate. Or so they say! Kase2 sent in an awesome text file on how you can still Get Your $100 Apple Credit Without Activating Your iPhone. 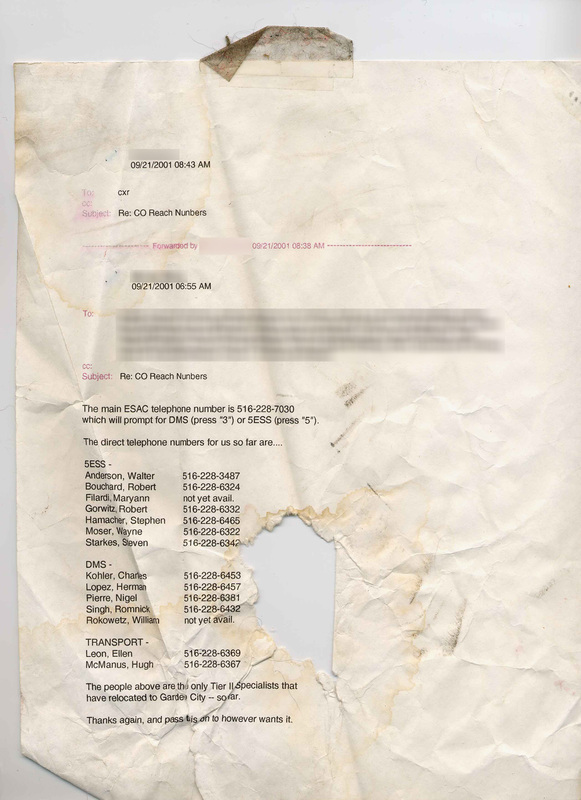 I-Ball sent me some scans of some internal Verizon emails found while trashing, which reveal a few juicy internal numbers. Click here and here for the photos. Thanks I-Ball! Sorry it took me so long to put these up. Keep the submissions coming guys! After more than a year since our first and only episode, Lucky225 and I decided to do another episode of NSAT&T Radio for 7/7/7. You can download NSAT&T Radio Episode #2 here. Big thanks to NotTheory for hosting the file at Bellsmind. You can find the show notes here at the BinRev Forums. Hope you like it! Got some big news today! Project Wal-Mart Freedom received a major update and now has it's own dedicated site at ProjectWalMartFreedom.com. The site was put together by Dual and P(?)NYB(? )Y and was a long time in the making, but it's finally here so check it out because it's awesome! If for some reason you're wondering what I've been up to lately, you should check out my new site dedicated to everything about Caller ID spoofing. I've been working on that a lot. Also keep an eye out for some new Project Wal-Mart Freedom updates we might be dropping soon! And don't be afraid to send in anything hacking/phreaking related this summer. Especially if you get an iPhone. Royal sent in his famous red boxing article Red Boxing Revealed For The New Age from the Winter 2006-2007 issue of 2600! This version includes some new info, so even if you've read the copy in 2600, your still gonna want to check this one out. The artice is super comprehensive, just the way we like it! Thought Jenny was dead? Well you were wrong! The "Jenny" craze is still alive in 2007! Booter, ic0n and others completed the Jenny Scan which is a complete scan of all the NPA-867-5309's in North America. What better way to ring in the new year than with an update to of one of our most popular files - Project Wal-Mart Freedom! Thanks P(?)NYB(?)Y! If you've got information you'd like to contribute to Project Wal-Mart Freedom send an email to ProjectWalmartFreedom [at] gmail [dot] com. I began to think a lot about where I see telephony going in 2007. So I decided to end the year with My Telecom Predictions For 2007. Have a happy New Year everyone! Keep it phreaky for 2007! Dual's back! He sent me a copy of the presentation that he gave at the last Phoenix 2600 meeting. It's titled Chatter Bug: VoIP Solution With A Problem and Dual quickly details how he completely owned Chatter Bug! Awesome job Dual! I just finished my first article on OpenSER! Most people I've talked to don't even know what OpenSER is, or how common it really is, so I thought I'd start off with sometime basic. A Beginners Guide to OpenSER is the result. Also, I have an article in the new Fall 2600 entitled Ownage by Adsense! Pick up a copy, check it out, and let me know what you think. Oh, and please keep sending submissions to natas [at] oldskoolphreak [dot] com! PhreakVids.com has been updated with three new videos tonight! If you've never heard of Justin Petersen AKA Agent Steal then you need to get over to PhreakVids right now and check out the CNN video about him. Two new videos featuring Kevin Mitnick were also included in the site update. Enjoy! After my last text file reviewing Trixbox, I decided that I should try out Digium's new Linux Distribution, Pound Key. Overall, I thought that it was essentially the complete opposite of Trixbox, because it was so minimal. For my complete review check the text file! Digium's Pound Key Version 1.2.1 Reviewed. Ever wonder what all the hype behind Trixbox is all about? I did. So I took it for a spin and wrote up this review entitled Asterisk Vs. Trixbox. Be on the lookout for a new Project Wal-Mart Freedom update sometime soon! If you've got any dirt on Wal-Mart be sure to email ProjectWalmartFreedom [at] gmail [dot] com. Just wanted to let everyone know that the Bellsmind PBX is back up again at 712-432-9020! Does this mean that Phreak Phactor will be back soon? Guess we'll have to wait and see. I also have setup an Old Skool Phreak PBX at 712-432-7923 which features lots of different radio shows including Default Radio, RFA, Binary Revolution Radio, BellCore Radio, NSAT&T Radio, PLA Radio and Hackermind. Kurced's SkypeOut text file has now been expanded upon to work with Asterisk! I knew it was only a matter of time. Here's the new Asterisk compatible version. How To Dial Out Using an ATA and SkypeOut. I didn't think it was possible but I was proven wrong! Kurced figured out how to get SkypeOut to work with a regular SIP ATA and a little ingenuity. The next step should be getting this working with Asterisk. See you at the Sixth HOPE this weekend in NYC! Dual brings us this scan of 800-NXX-NOOB otherwise known as Noobscan 800. There's some cool stuff in this scan so make sure you check this out and play around with some of the numbers! I started a new phreaking radio show with Lucky225 called NSAT&T Radio. Episode #1 was released today. You can find the show notes on Daily Phreak. Give it a listen and send feedback to natas [at] oldskoolphreak [dot] com. When the domain registration was up for PhreakVidz.com, it was snatched up by an automated domain registration bot, and held for ransom. So the site has been relaunched, as well as redesigned, at PhreakVids.com. Oh, and there's a bunch of new videos now too! It's still one of the only places on the net that you'll find the episode of Unsolved Mysteries featuring the legendary phreak, Kevin Poulsen! P(?)NYB(? )Y brings us another update to Project Wal-Mart Freedom today. If you've got something you would like to contribute send an email to ProjectWalmartFreedom [at] gmail [dot] com. 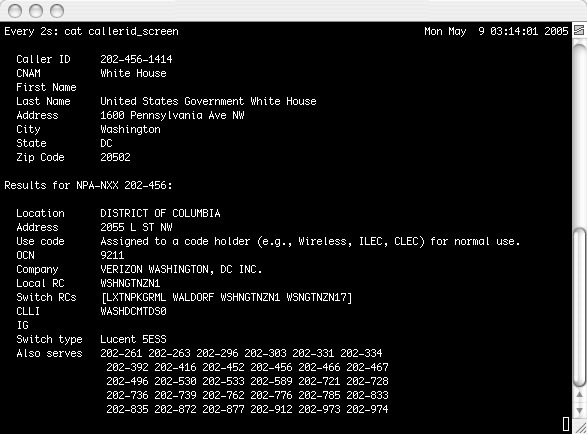 Dual sent me another new text file he wrote up titled A Brief Introduction to Albuquerque's Telephone System. If your in or around Albuquerque, NM then this text should be of even greater interest to you. Old Skool Phreak now has it's very own site search engine, thanks to Nick84 over at Rootsecure.net. Now it's much easier to find whatever it is you may be looking for. The search page can be found towards the top of every page, just to the right of the mirrors link. Thanks to m2mike for the initial suggestion. Dual is back again with another new article. Port Knocking Simplified is his latest release and you should definately check this one out! Dual always comes correct! P(?)NYB(? )Y has another update to Project Wal-Mart Freedom today. The project is alive and in full effect again! Got some dirt on Wal-Mart? Email ProjectWalmartFreedom [at] gmail [dot] com. I like the idea of needing a key to start my computer! Thanks P(?)NYB(?)Y! I was overwhelmed when I found out how many websites VoIP pioneer, Jeff Pulver, has for himself and all of his companies. So I got bored while I was sick today and put together this file called "Pulver Sites" which you'll find on the text files page under the VoIP/Asterisk section. Some of the web pages go as far back as 1996 and are still online. Project Wal-Mart Freedom has been updated and P(?)NYB(? )Y from Bellcore Radio is now taking over the project. Hopefully this means that there will be more frequent updates to the file now. So if you have anything to contribute, please email ProjectWalmartFreedom [at] gmail [dot] com. I completely forgot I had this text file waiting for me in my email! Qwest Key Contacts. Shouts to sub_zenith for putting this together and then reminding me about it. Keep sending in your 31337 text files to natas [at] oldskoolphreak [dot] com. 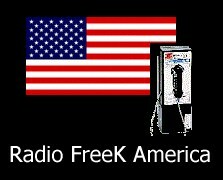 Also, don't forget about the Radio FreeK America reruns on DDP HackRadio every Wednesday night at 11PM EST. Oh, and we also have the RFA Podcast following the progress of the show every week. Sorry for not having any updates in a while! I've been really busy with Daily Phreak. I've got some new things coming out soon, but today I just wanted to let everyone know that I updated my Installing app_cepstral with Asterisk HOWTO because I was having problems getting it to work on my Gentoo system with the latest Asterisk SVN code. Stonersavant took my Asterisk .Annoy release and made a bunch of improvements to it and now we have Asterisk .Annoy v1.5. I really like what he did with it. He added seven different annoying sounds to choose from, the option to set your Caller ID, the number of calls to place, and the time between calls. He also added a really cool looking Asterisk Underground interface to the whole thing! Be on the lookout for another Asterisk .Annoy spinoff in the near future! The audio files page has been updated with a special audio text file that Greyarea put together for everyone entitled Spoofing Charge Number. It's some pretty crazy stuff, so make sure you check it out! Merry Christmas! One night after receiving a few prank calls on my cell phone from someone who wasn’t smart enough to block their Caller ID, I decided that I needed a way to get revenge if this ever happened again. I went home and Asterisk .Annoy was born. It’s very simple to use: go to the web page, enter the 10 digit number to annoy and your done. Use this with caution! Also, I have a new telecom blog at dailyphreak.com with daily telecom, Asterisk and phreaking related updates. 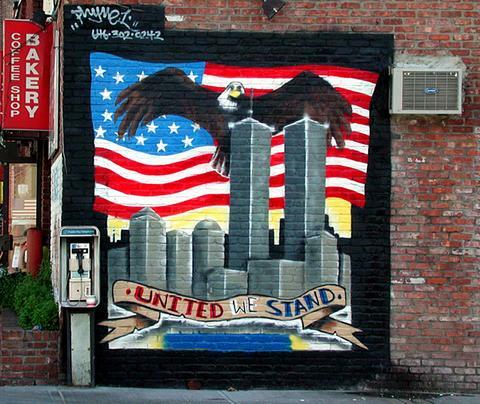 Today an anonymous reader gives us a New York City 212-777-XXXX Wardial. There's some really interesting systems in this scan! I love wardials, so keep sending them in to natas [at] oldskoolphreak [dot] com. Thingking about switching cell phone carriers but fearing the early termination fees? Well Lucky225 can show you how to avoid having to pay them! Beave over at Telephreak has released an open source *nix based war dialer named Iwar. It includes the source written in C and is released under the GPL. It has a lot of awesome features and looks very promising. You can check it out at http://www.softwink.com/iwar. StankDawg and Mickey Mouse? The Dawg took a trip to Disney World and put together a wardriving/warbussing text file. Wardriving with Mickey. Keep sending in article submissions to natas [at] oldskoolphreak [dot] com! Vox put unlimited VoIP to good use and did a Boston 617-956-XXXX Wardial. His formatting is uuber leet as he even included notes and the CNAM entries. Shouts to Vox for keeping it old school with the wardials! Don't forget about the Radio FreeK America reruns on DDP HackRadio every Wednesday night at 11PM EST. Also, the RFA Podcast is updated every Wednesday following the progress of this CLASSIC show! If you missed it the first time around, this is your chance to tune in! ArchAngel brings us Urban Exploration for the Social Engineer - A tongue-in-cheek primer to getting in. I wrote an AGI to integrate into your dialplan that generate a random Caller ID for every outgoing call based on the NPA and NXX dialed. Never call from the same number again! Asterisk Random Caller ID Generator. Just when you thought something couldn't get any better it does. Dual updated macninja.pl again and also has two new perl files! Dual's cast.pl is a podcast aggregator and dhcphosts.pl generates an /etc/hosts file for a box on a DHCP network. Ro0t2 sent in a modified version of Super Caller ID for Australia. Very cool! The phreak photo gallery has been updated again with more Defcon 13 photos from Rax, Droops and StankDawg of People and Presentations. I'll try to keep adding more! Asterisk Super Caller ID and bm.pl have both been updated to work with some minor BellsMind URL changes. The old versions do not work anymore, so please grab these updated versions! The phreak photo gallery has been updated with a couple Defcon 13 photos. I'll add more as I go through more photos, but for now check out the OldSkoolPhreak COCOT and the OldSkoolPhreak Coke Machine. Classic! The Asterisk AGI programs BlackRatchet wrote for his Defcon 13 presentation with Strom Carlson are now available! Sorry about the lack of updates, but I've been super busy lately! A lot of new stuff will be up soon though, so keep checking back! 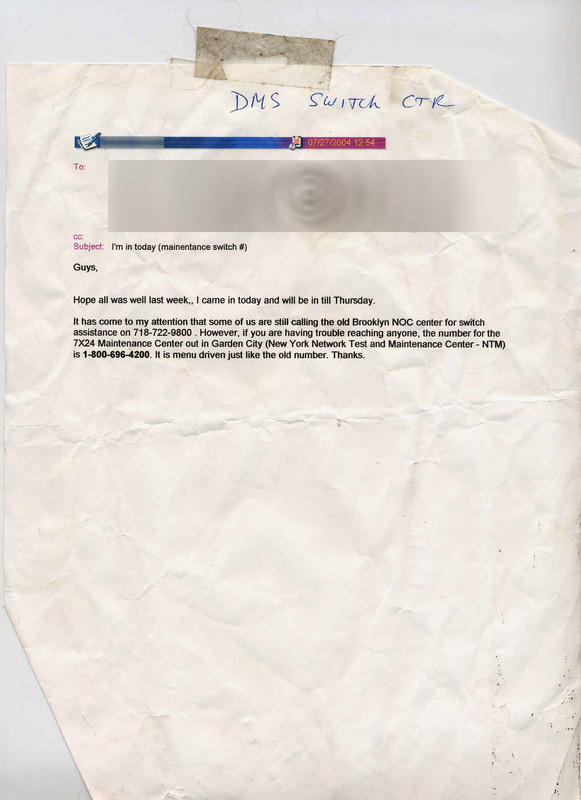 Just in time for the weekend at Defcon, here's an Alexis Park Scan & Backspoof. Sorry for the lack of updates, I've been sick. Here's a HOWTO I wrote up for the text to speech program Cepstral. Installing app_cepstral with Asterisk HOWTO. 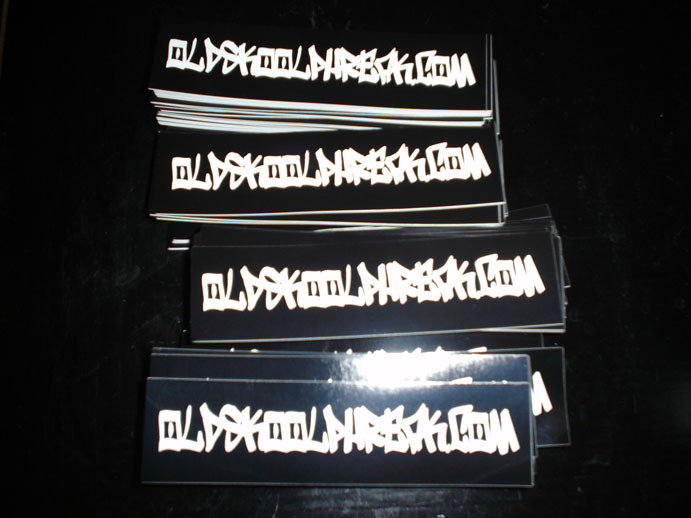 I got my oldskoolphreak.com stickers in the mail today! Find me at Defcon if you want a few! Also, I wanted to remind everyone that Radio FreeK America reruns are on DDP HackRadio every Wednesday night at 11PM EST. The RFA Podcast is also updated every Wednesday following the progress of the show! Today I have something a little bit different, but I think people will still find it interesting. After playing around with ettercap and etterfilter, I realized how just how easy it would be to block all VoIP traffic across someone else's network or your own. So I wrote up an ettercap filter. Blockvoip.filter. An anonymous reader sent in an article with detailed information on checking answering machines remotely! He has also put together an audio file so you can hear the various answering machine greetings for yourself! Checking Answering Machines Remotely. Mp3 available here! The VoIP/Asterisk section is growing like crazy! Vox submitted his very cool Asterisk backspoofing program written in Free Pascal for everyone to check out! Get it while it's hot! Backspoofer v0.1b. Three updates in under a week! I'm on a roll! Keep sending submissions to natas [at] oldskoolphreak [dot] com! Today Invision620 brings us some necessary information on Owning the Best Buy Demo App & Router. Back again with another addition to the VoIP/Asterisk section! My latest project is an update to the standard telco ANAC. I call it the ANNAC! Sorry about the lack of updates. There will definitely be lots of great updates this summer though! To start it all off, nwbell drops his file on DIY phone books entitled Making A Digital Copy Of The Fone Book For Fun Or Pleasure. NotTheory was able to generate a list of telcos for me based on how many exchanges a company serves. The list details the area codes and exchanges served. Smaller telcos are always good for interesting scans! Check it out and get your phreak on! The VoIP/Asterisk section of the text files page continues to grow! Asterisk Super Caller ID by Natas. Screenshot available here!